This is technically my day off – my last one until September. After two weeks of rehearsal and months of preparation, Heaven Burns is very nearly ready to hit the Fringe! It has been a gloriously enjoyable rehearsal period, thanks to having a brilliant team. When you’re working on something as intense as this, you need people with a decent line in nonsense to keep you sane and I’ve definitely had that. In between the technical complexities of choreographing violence, navigating the psychological twists and turns of the script, and sweltering in a roasting hot tent, there’s been cake, improvised one-man versions of the show, and quite a lot of dancing to early Britney in full 17th century gear. It’s been immense amounts of fun. Today my flat is full of freshly repainted props and newly laundered (and subsequently newly bloodspattered) costume bits. I’m very confused by being able to see daylight and my body can’t understand why it’s not lunchtime yet. After lunch I’m going to drag my brain into a different project for a little while, because we all know there’s really no such thing as a “day off” when you’re freelance, only days where you work on different things. Tomorrow and the next day we’ll meet for line runs and the mad run, and then on Thursday we open. Tickets are available from the Assembly website (and other places, but it’s better for us if you buy them from there). I can’t wait to put this show in front of an audience. Susanna Mulvihill as Christian Caddell. Photo by Jen McGregor. We started our main tranche of rehearsals today. It’s been a long day, or rather the latest in a series of long days, and the words in my head refuse to arrange themselves in an orderly fashion and be typed out. We launched straight in with a very complex scene, the actors pulled out all sorts of interesting and exciting things, and I’m champing at the bit to get back into the room tomorrow and shape the material we found. 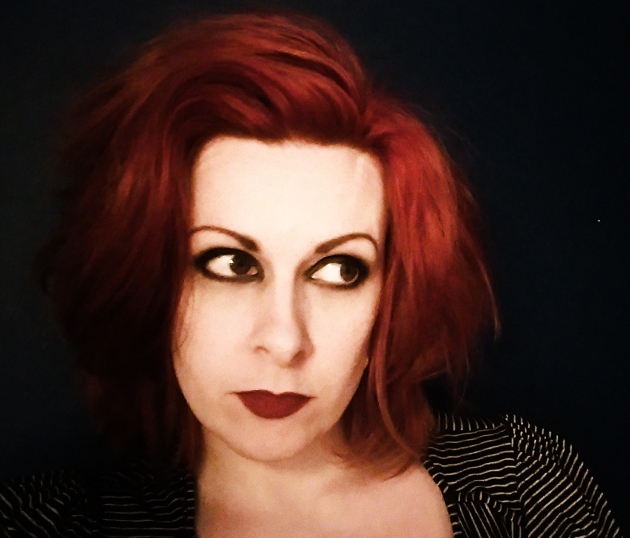 Edinburgh-dwelling writer, dramaturg and director.